← Why is PDF to Flash Flip Book Converter so popular among users? What kinds of files belong to Office , now let us have a check, roughly we can recollect : Word Document, Excel, PowerPoint, Outlook emails, Access. In this article, I will show you a way about how to convert these files to any other file formats, like Postscript, EPS, TIFF, JPG, PNG, etc. files in batch. For office to any conversion, now we have three software for you to choose. “Since all of those software can convert office to any, I will choose the cheapest one. ” you may wonder like this. Ok, now let us check their prices. If choose from price, Office to any will be your choice. But why the others are expensive? Let us compare their functions. GUI version without command line package. Two ways for the conversion from office to any, using Office or without Office. Allow you to add PDF watermark. Allow you to add PDF page number. Support more input file formats including Office, like, Web URL, HTML, MHTML as input format. 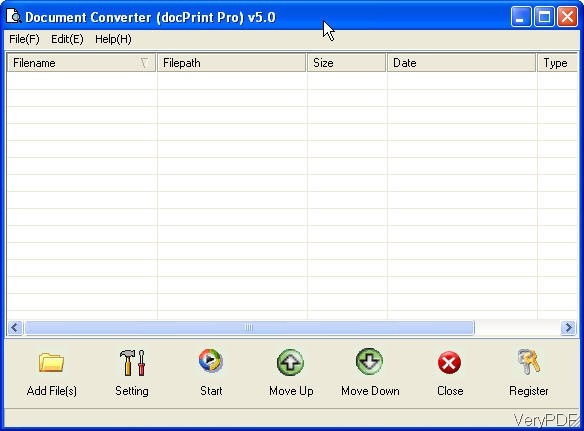 Convert office to any via virtual PDF, PCL, HPGL Printers if you need. Support wildcard character, for example: *.doc, a*.rtf, *.xls, *.ppt etc. This function will be good when you need to do batch conversion. Allow you to do the unattended operations. Allow you to set margins for output files. Enable or Disable Unicode characters in document conversion according to your needs. Able to remove clipping from output SVG format. This software only can be called from MS Dos Windows no interface. It nearly covers all the functions of Office to Any Converter. It supports all the supported input and output file formats of DOC to Any Converter. It has two virtual printer, one GUI version and one command line version. This software will be better when you need to do printing job after conversion. All above I talked is the different features of those software, now let us check its common features. They can run in all the windows system both 32 bit and 64 bit. Allow you to add PDF information, like producer, author and others. Allow you to add password for the converted PDF file. Allow you to open the converted files after conversion if you need. Allow you to do the batch conversion fast and accurate. Doc to any Converter is like a smart phone, as it has too many functions, it it a little complicated to use. You need to spend bit of ideas to do a research on how to use it. But once you know how to use it, it will be very powerful to us. 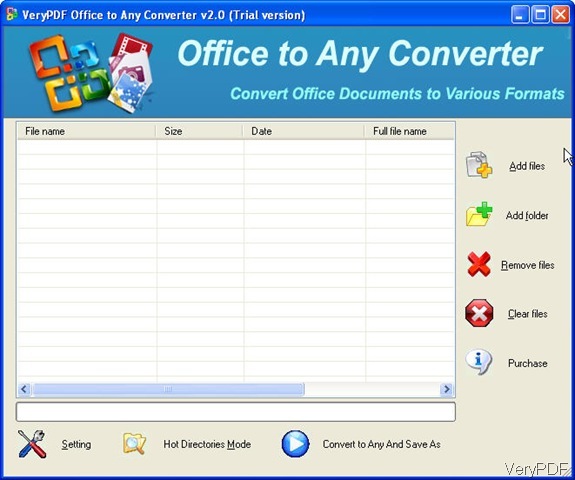 Office to any converter is just as opposite to it, as it is a GUI version, it is very easy to use. You can choose one according to your needs. All those software can help you convert office to any, if you have further question about those software, please contact us by the ways supported on this website. To know more software about file format conversion, please come to VeryPDF homepage. This entry was posted in DOC to Any Converter and tagged office to any. Bookmark the permalink.